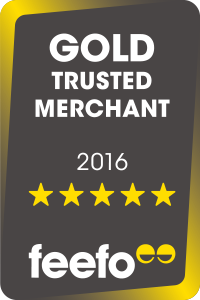 London self storage business has been awarded the respected Feefo Trusted Merchant – Gold award for 2016. Attic Self Storage (and all our lovely customers). Thank you, thank you, thank you. *sob. I’d just like to express my appreciation to Sonia, Ikraam, Leon, Marc and the rest of our front of house team for their exceptional hard work in keeping our customers happy, contented and well & truly sorted for all their storage needs. This week they helped Attic Self Storage pick up a Feefo (nothing to do with football, everything to do with a smile, a sympathetic ear and a vast store of knowledge) for ‘Gold Trusted Merchant’. The great thing for us is that Feefo is ‘The Global Feedback Engine’ and a Feefo award is not only totally independent, but is based on genuine customer opinion about the service they have received. The great thing for you is that you can trust that our Feefo award actually means something – it’s based on the views of other real-life consumers and not those of staff members trying to boost sales and ratings. (We’re far too busy providing exceptional service to mess around trying to fix the figures). Attic Self Storage’s happy, smiley, ‘can do’ attitude has already helped us win the prestigious FEDESSA European Customer Service Award. It seems we just can’t help but keep adding to our collection of awards. Luckily we’re East London’s premier self storage company, so if we run out of room in our reception, we’ll always have somewhere to keep them. If you have your own collection of Medals, Trophies, Boxing Belts, Volleyball Cups or Oscars and Baftas, you know who to talk to if you want to save some space and keep them safe. We’ve also got boxes, bubble wrap and packing tape if you need them. Give Attic Self Storage a call today. Or nip in and see us to experience our award winning service first hand. Whatever your storage needs, we promise Hackney Wick has more to offer you than Hollywood. I’m happy that I chose you to store my records! And you deserve the award – Ikraam, Marc and Leon are top Geezers, and Sonia’s an absolute darling! Well done to you all.